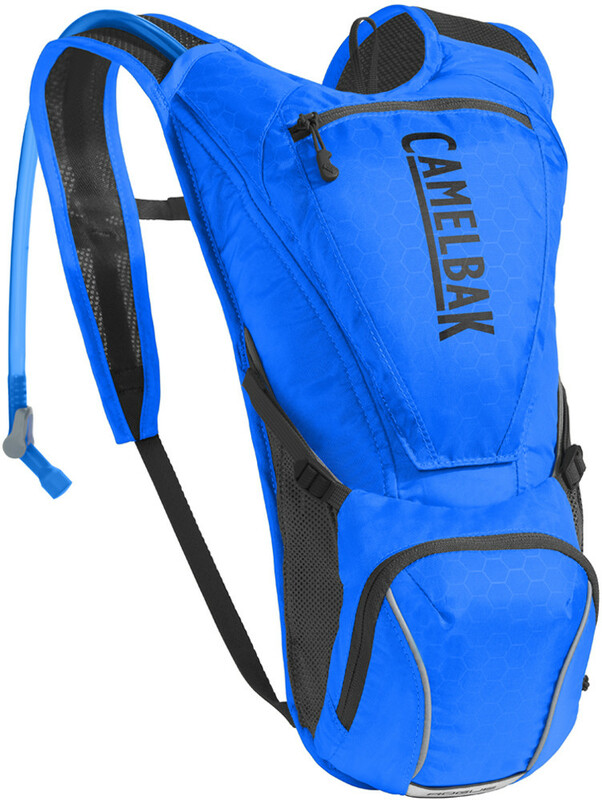 CamelBak: The convenience of external fill in a sleek bike pack. The 2L Crux™ reservoir can be refilled on the fly via the quick-release flap on the front of the pack. Two external pockets for small items like keys, wallet, phone or storage for a shed layer. We’ve also added reflective accents to keep you visible on early morning and evening rides. PACK ONLY WEIGHT: 230g / 0lb 8oz TORSO FIT RANGE: 38-53cm / 15-21in FABRIC: 200D Polyester Plain Weave FEATURES: • The brand new Crux delivers 20% more water per sip, with an ergonomic handle for easier refilling, and an on/off lever that makes it easy to prevent leaks. • Breathable air mesh back panel for a lightweight, comfortable fit. • Integrated tool organization keeps your tools organized. • Ventilated harness for comfort and breathability. • Stretch overflow storage compartment lets you easily stash a rain shell or extra layer. • Reflective accents for visibility in low-light environments.